From a small intimate event with your nearest and dearest to a celebration in grand fashion for up to 200 guests, the Park has a long tradition in making your special day a day to remember. Beautiful gardens, open spaces and country charm set the background only 30 minutes from the city. 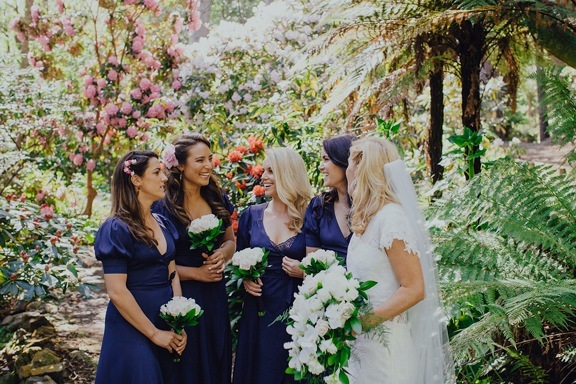 Whether you prefer a heritage building with kauri panelling or a luxurious marquee with sweeping views, several sites are available within the Park providing you with the flexibility to allow your dreams to come true. With historic buildings, flower filled gardens, tree lined walks, a golf course and an adventure playground, there are many options for all interests. You can reserve a picnic spot or hire one of our buildings for that special birthday or the work Xmas party. Why not contact the Tea Rooms for catering options. Why not combine the special day with a guided tour around the buildings? Relocated to the park in 1973 and located next to the golf course. The school house has an open fire and will seat approximately 40 people. The kitchen of our Outdoor Education Centre can be the basis for your event. Complete with electric BBQ's outside and a multi function room seating 70, this is a great mid sized venue. A number of couples have used this facility for their wedding by putting a marquee adjacent and using the kitchen for their catering base. A junior bike track loops the venue allowing you to relax while the kids are entertained. Orton Bradley's tree lined grounds are available for your event. The parks management are available to help you find a suitable location be it picnic, wedding, or birthday party. Contact the park for more information and pricing.